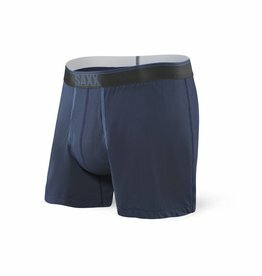 The Saxx Quest Loose Boxer fly is the perfect underwear for travel. Quick dry, fly opening. 77% nylon, 14% spandex, 9% polyester.